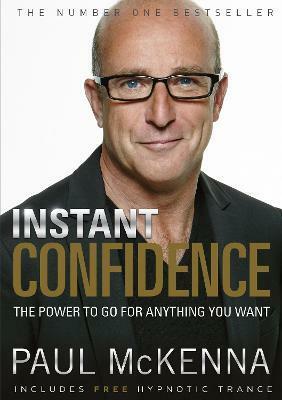 Paul McKenna Ph.D. is the world's leading hypnotist and Britain's most successful self-improvement author. In this groundbreaking new book, he reveals the secrets of mastering your emotions and living with a greater sense of ease and certainty than ever before. You will learn how to push the 'off' switch for fear and desperation and create massive amounts of confidence and motivation in just a few moments. Before you've even finished the book, your whole attitude to life will begin to change for the better! Whether you want to feel totally confident in business, romance, or any other area of your life, Paul will walk you step by step through a series of simple yet powerful techniques normally only available to his private clients and seminar attendees. In addition, the book comes with a free hypnosis audio download which uses the latest psychological techniques to fill your mind with positive thoughts and feelings. Each time you listen, you will be re-enforcing positive optimism and programming your mind for success.